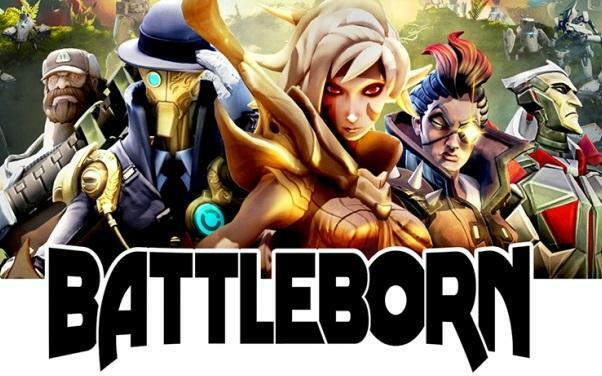 Gearbox Software is the maker of the wildly successful Borderlands series and they’ve just announced their newest game – BATTLEBORN! You can watch the trailer for yourself. I personally am excited to play as a dapper robot with a gun cane. Details are sparse at the moment, although BATTLEBORN has been described as a Shooter/MOBA (Multiplayer Online Battle Arena; think League of Legends); which is a strange mix. However, Gearbox successfully combined RPG elements from Diablo with a shooter to give us Borderlands, so I’m willing to give them the chance to wow me. My one critique is that besides the Dapper Robot(TM) none of the other character models look that good, the elf ranger is especially unattractive. They have over a year to fine tune and maybe pull a Borderlands and completely change the style, so I’m not too worried. Regardless, BATTLEBORN will be one more reason to checkout the Gearbox panel at PAX this year… besides the free stuff and Randy Pitchford giggling like a little kid while giving away secrets… and I guess Mikey. I am excited about this game too, but I am surprised that so many people on the internet have come out against it. They seem to think that Gearbox suckered them in to pre-ordering Aliens: Colonial Marines, so anything Gearbox makes should die in a fire. Now Aliens: Colonial Marines by all accounts was really really awful, but haven’t we all learned at this point not to pre-order games? If you pre-order a game and it is terrible that is kind of your fault at this point. Especially with the rise of digital distribution so you can get the game same day anyway. Previous PostPrevious Shmee Is Playing The Witcher 2!